Nanga MAGNUM Custom Clipless Fountain Pen - in Abalone Alumilite Acrylic. 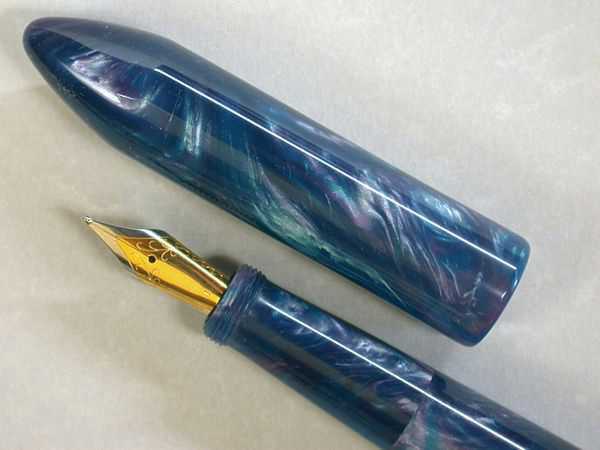 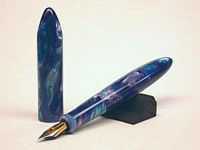 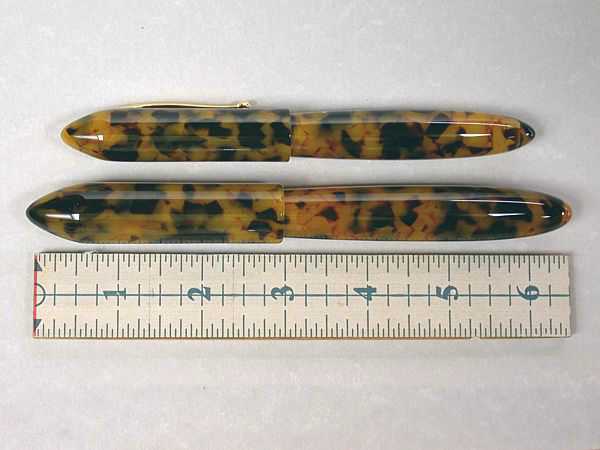 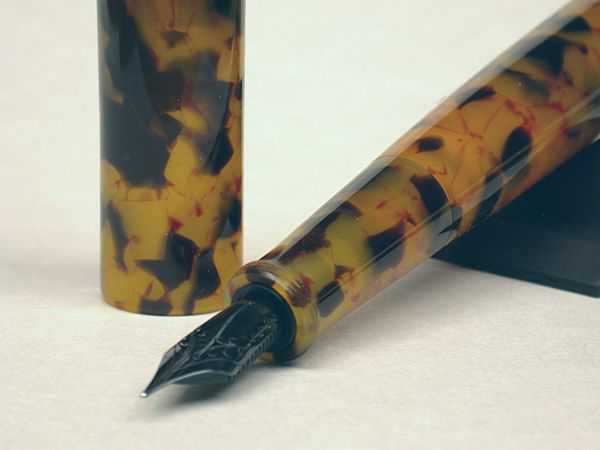 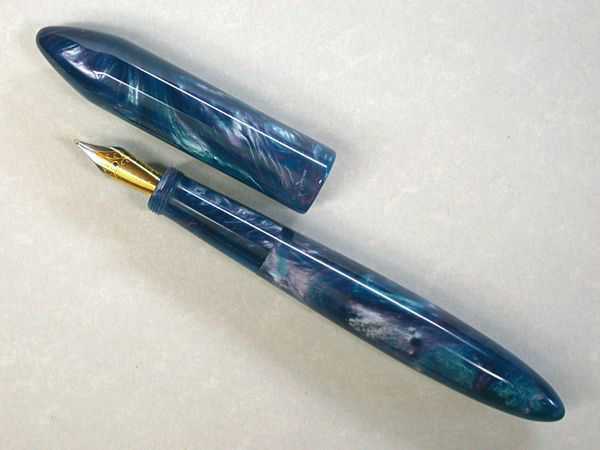 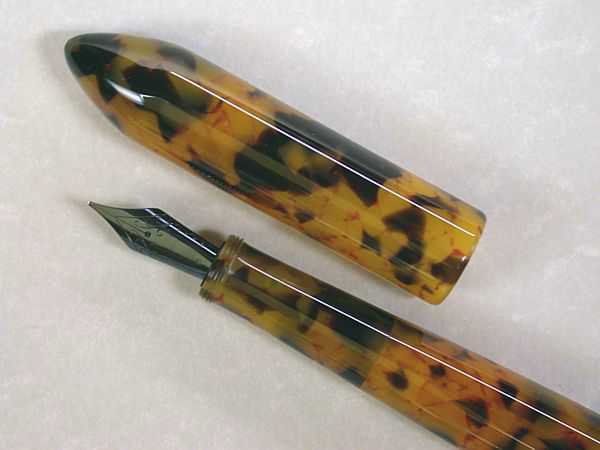 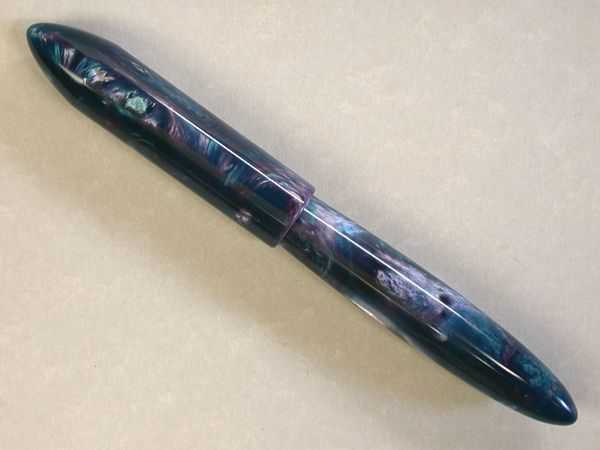 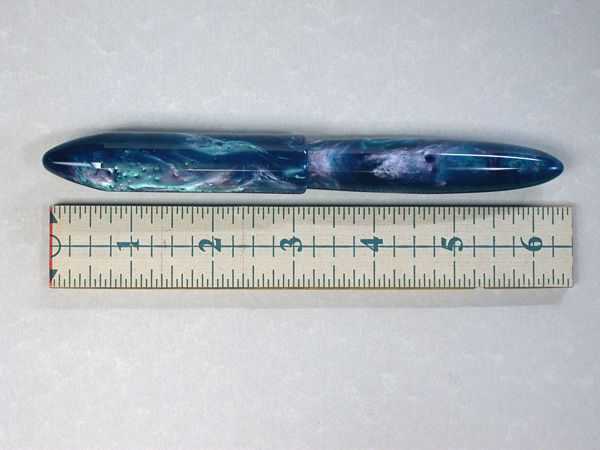 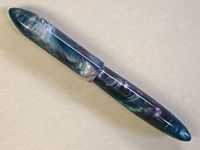 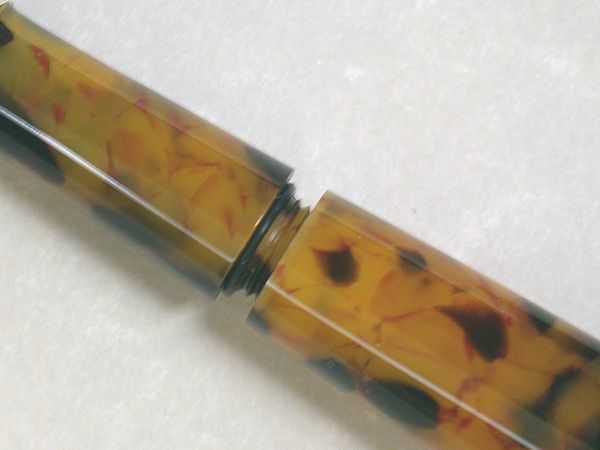 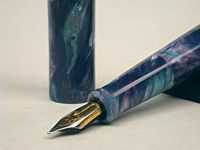 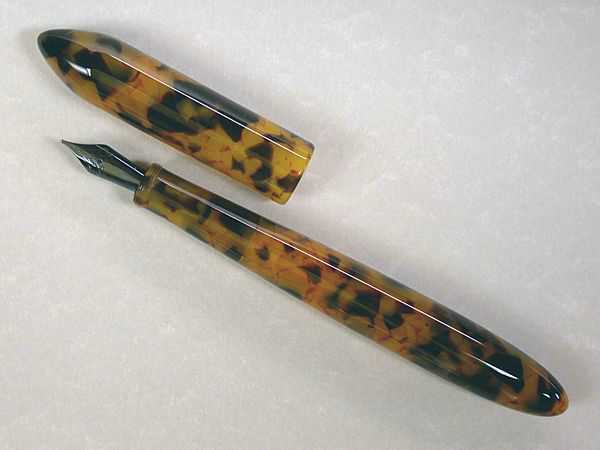 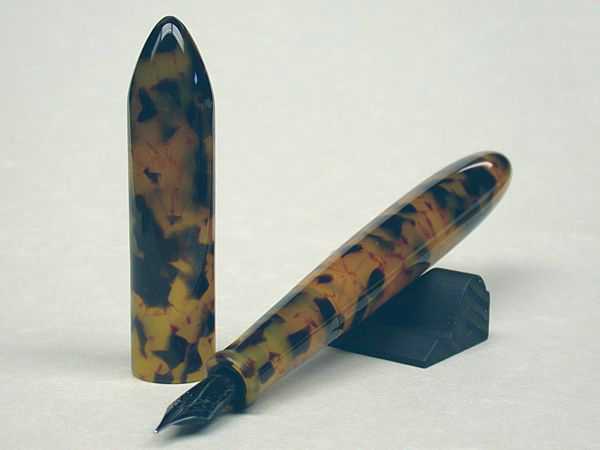 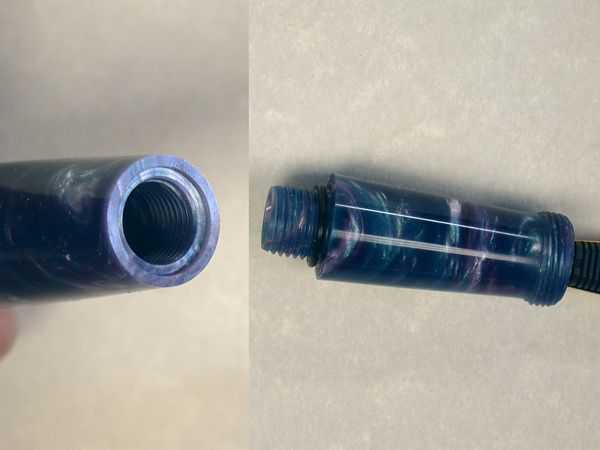 The material used on this pen is an Alumilite acrylic called LAVA EXPLOSION. The series is known for it's depth of color. This color is called ABALONE, and it has a mix of blues and purples that creates a very similar look to abalone. Color / Material: Abalone Lava Explosion Alumilite Acrylic. Length: Capped = 6.25" / Uncapped = 5.66". Weight (gms): Capped = 29.4 / Uncapped = 17.9.